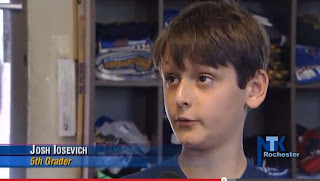 Rochester Chess Club Blog: PBS Television interview with kids and camp counselors during CHESS CAMP! 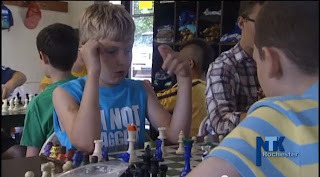 PBS Television interview with kids and camp counselors during CHESS CAMP! "Cool!... Me and the kids from camp are on TV!" 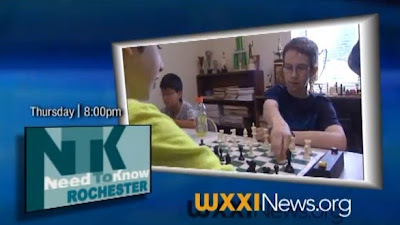 Tonight at 8pm, the PBS television network broadcast the series Need to Know Rochester featuring several interviews with kids at the Rochester Chess Center's chess camp, camp organizer Ron Lohrman and camp counselor James Hiltunen. 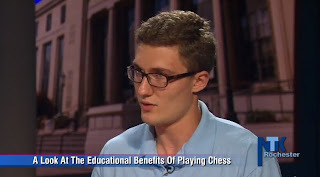 Here is the description of the program by PBS, which broadcast the chess feature in the last third of the half-hour program: "And the game of chess appears to be alive and thriving in Rochester. We’ll learn what keeps kids engaged in this centuries old game. Tune in this Thursday at 8:00 p.m. and Sunday at 12:30 p.m. on WXXI-TV Channel 21 and Cable 11 or 1011." Click the picture below to view the taped broadcast. 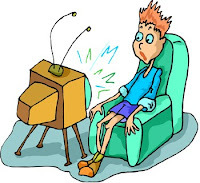 It ill be replayed on live television again this coming Sunday at 12:30pm. 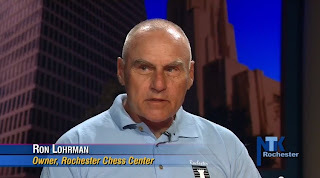 The CHESS feature story begins at approximately 18 minutes into the program. I was flipping through when I saw this. Great job, guys!